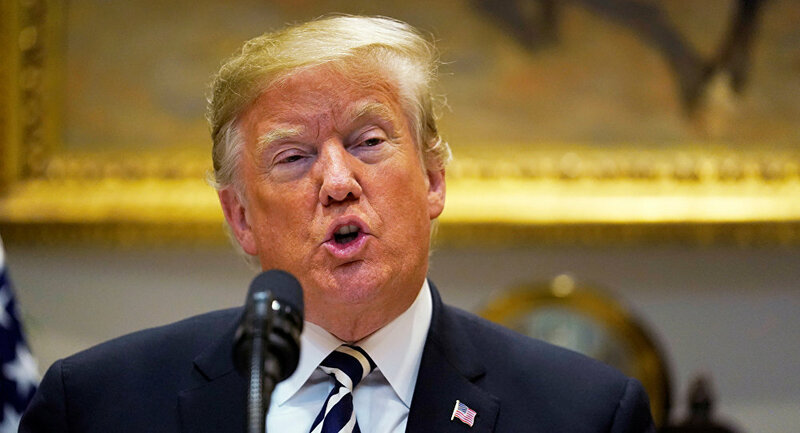 WASHINGTON (Sputnik) - US President Donald Trump has slammed Democratic Senator from Indiana Joe Donnelly for allegedly doing "what Russia did" in his election campaign, saying that Donnelly was trying to "steal the election." According to a recent poll by NBC News and the Marist Institute for Public Opinion, Donnelly, who has been serving as a US Senator from Indiana since 2012, is currently polling at around 48 percent, while his major Republican opponent Mike Braun is only two percent behind. "Rumor has it that Senator Joe Donnelly of Indiana is paying for Facebook ads for his so-called opponent on the libertarian ticket. Donnelly is trying to steal the election? Isn’t that what Russia did!?" Trump posted on Twitter. ​On November 6, US voters will cast ballots to fill 435 seats in the US House of Representatives, one-third of the 100-member Senate and other local and state positions. The outcome of the 2018 midterms will determine if the Republican Party can maintain control of both chambers of Congress. Washington has repeatedly accused Moscow of meddling in the 2016 presidential election in the United States, imposing several rounds of sanctions against Russia in response to this alleged meddling, among other issues. Russia has strongly refuted all the allegations as unfounded.